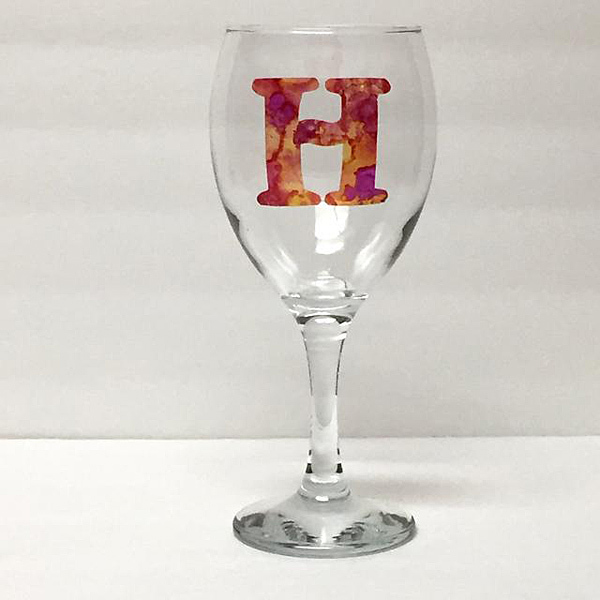 Project Description: Create fun and unique monograms for your wine glasses. 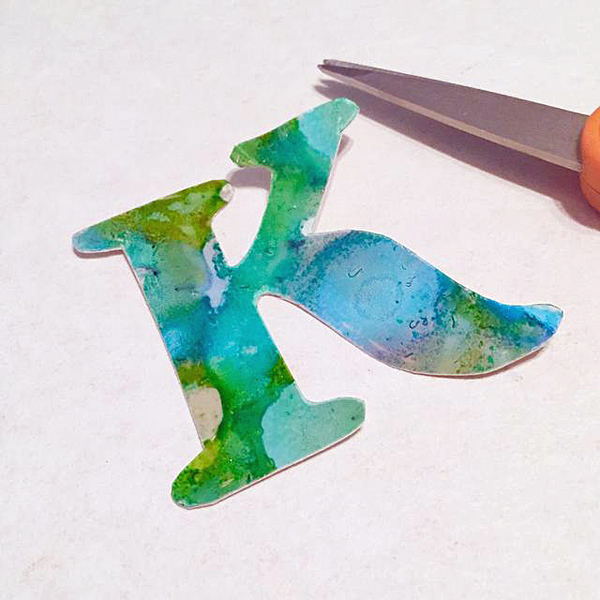 Cut small pieces of Cling Vinyl a little larger than the letters you want to use. 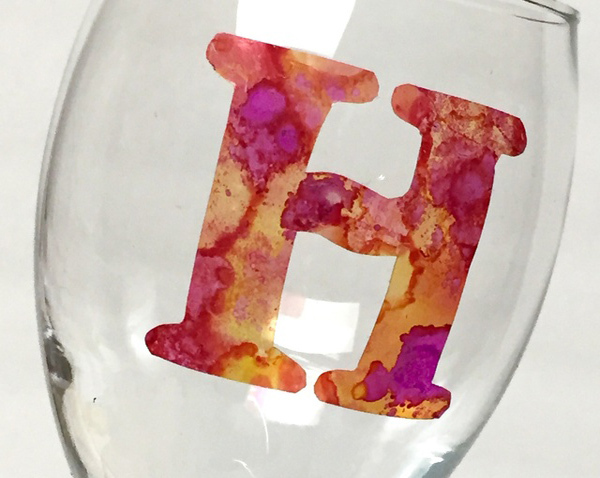 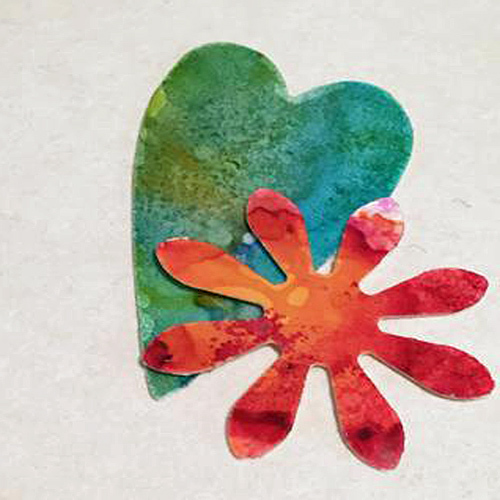 Begin adding drops of alcohol ink around Cling Vinyl. 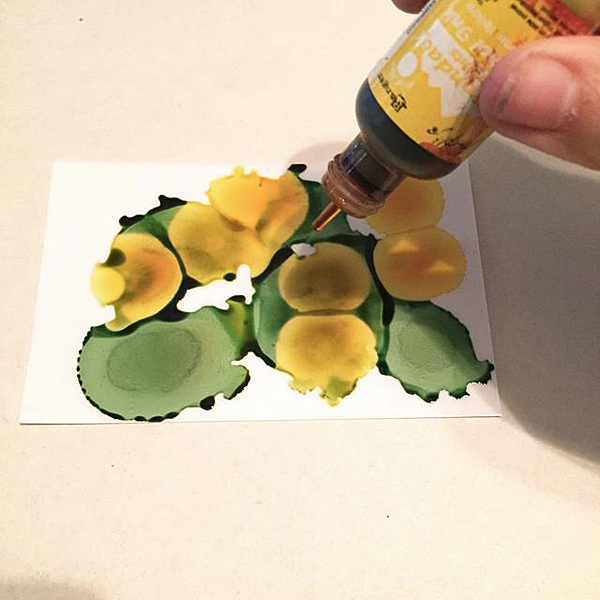 Use several colors and let them begin to bloom and blend with themselves. 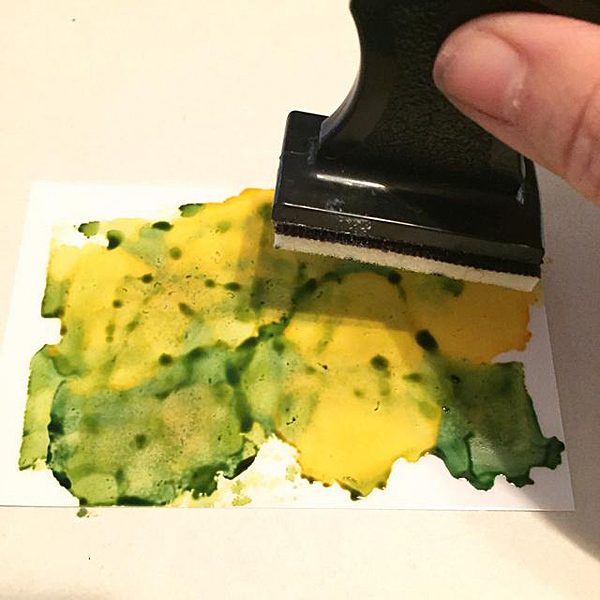 Once inks have bloomed a bit, you can mix and blend a little more using Color Blender in an up and down dabbing motion – be careful NOT to over blend. 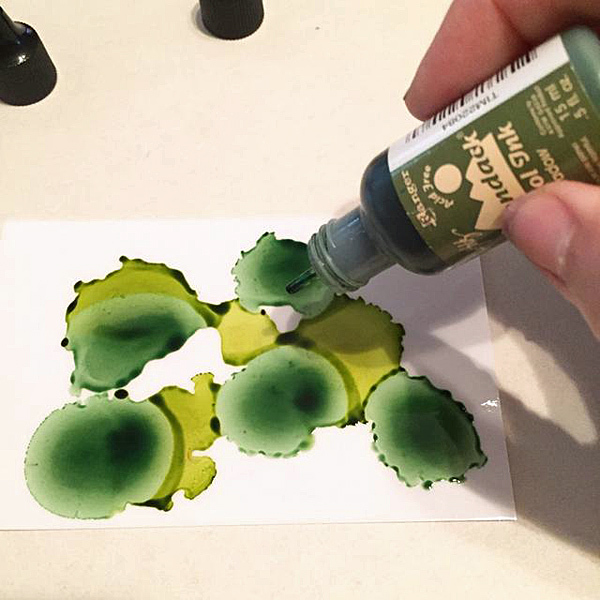 Continue blending, and or adding more inks, until you are happy with your design. 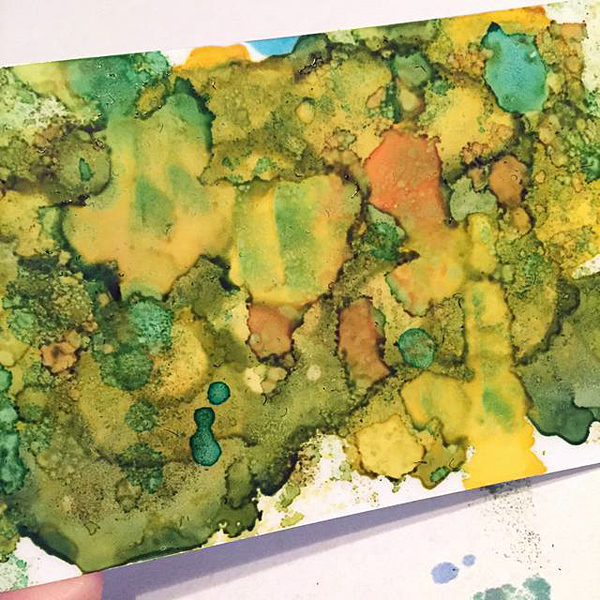 Repeat using different groups of colors. 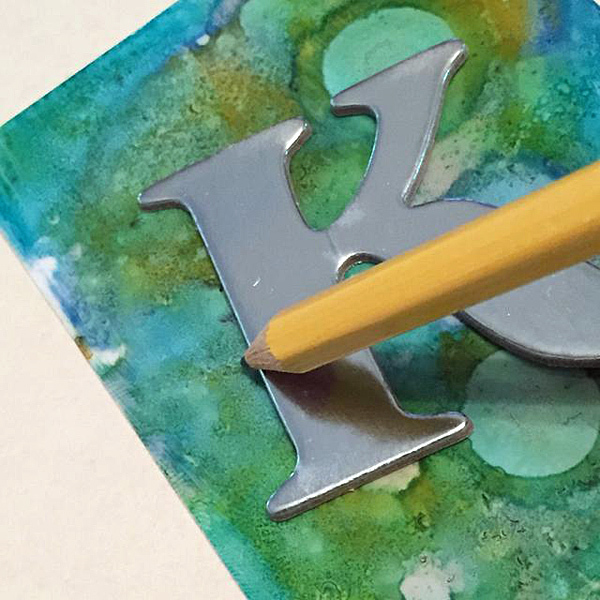 By working on the front of the vinyl, you can see where to layout letter to get a portion of design you want. 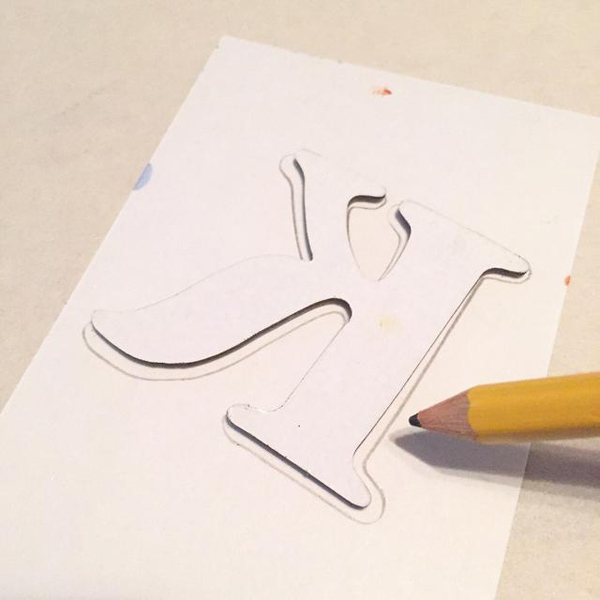 Trace around letter using a pencil. 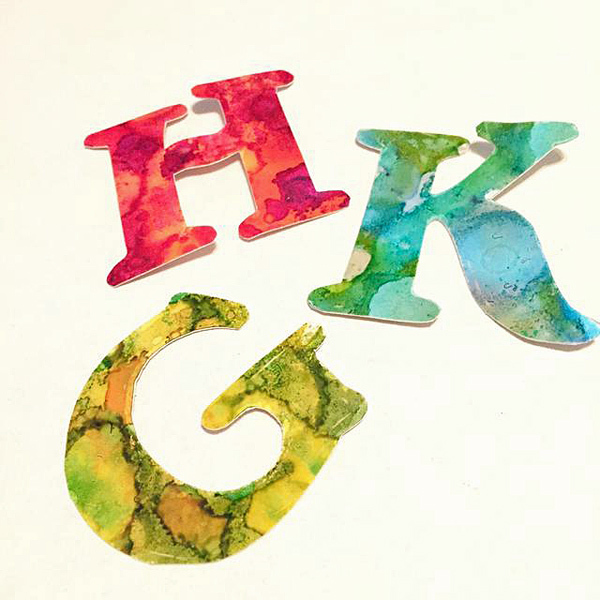 You can also punch or die-cut letters from the vinyl if you like. 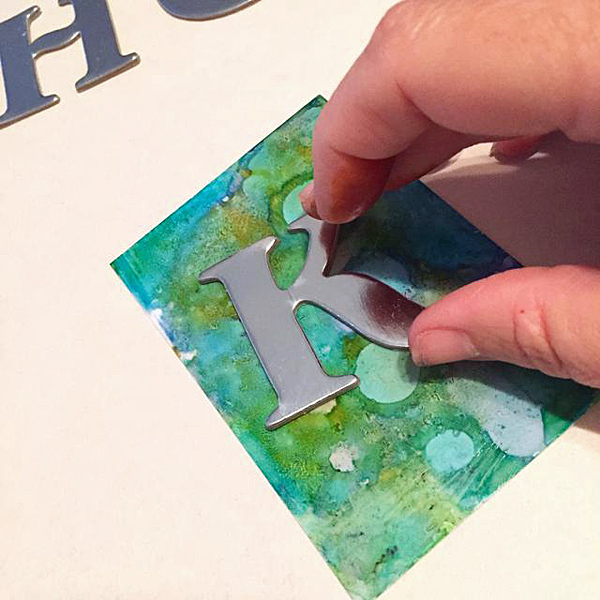 You can also just trace the letters on the back – this is a good way to efficiently use the colorful vinyl you’ve created. 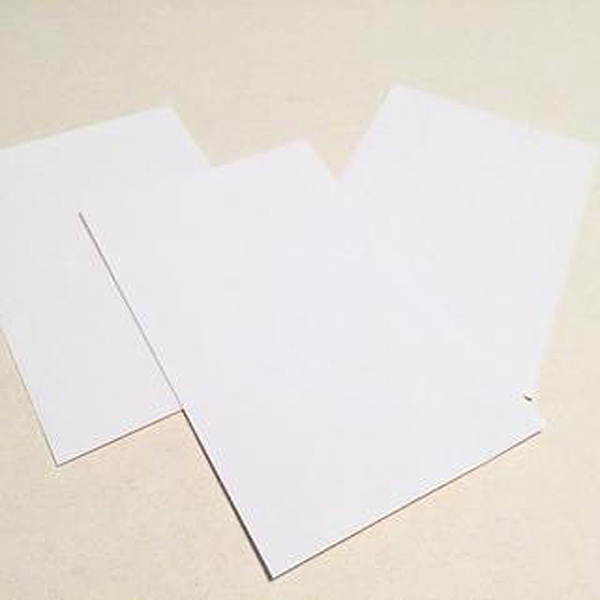 Carefully cut out the letter. 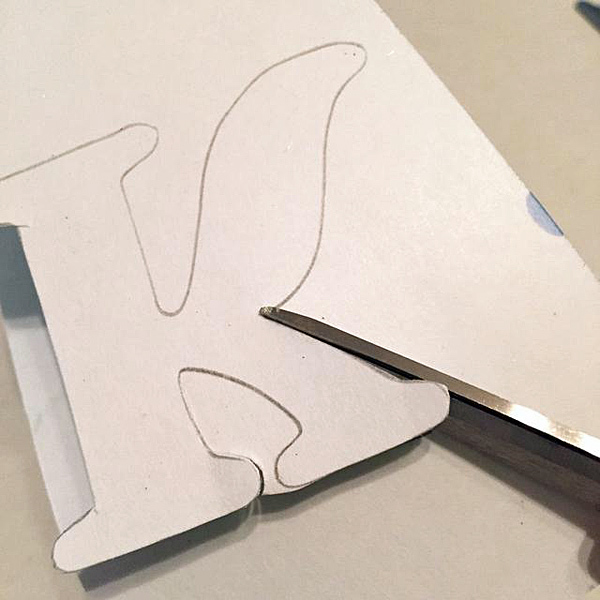 Just gently remove the backing from a letter by bending a corner of the backing. 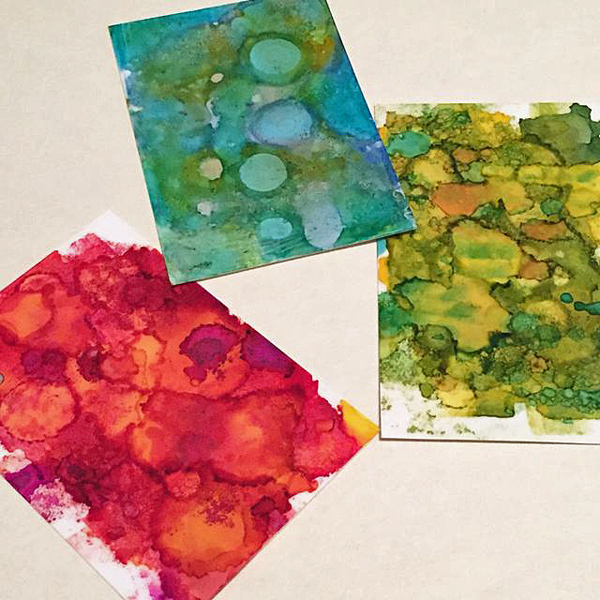 If you have any leftover inked paper, try using punches to get different shapes to use as additional wine markers. 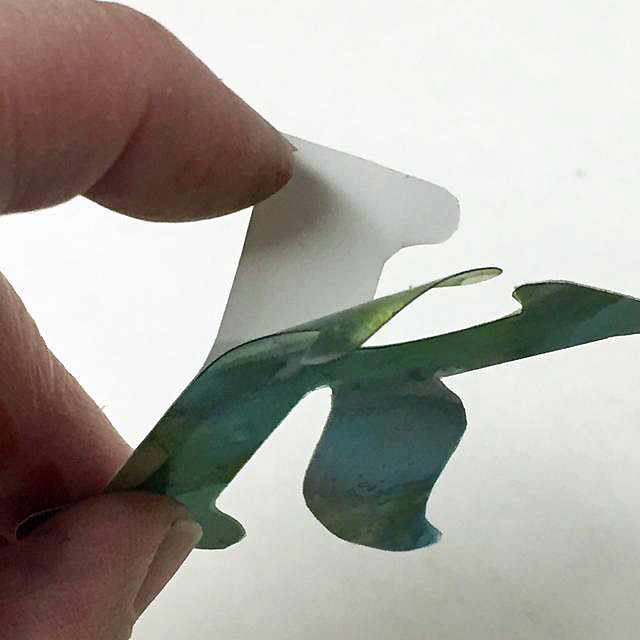 They are fun to mix and layer on the glasses as well since they will cling to themselves and the glasses.